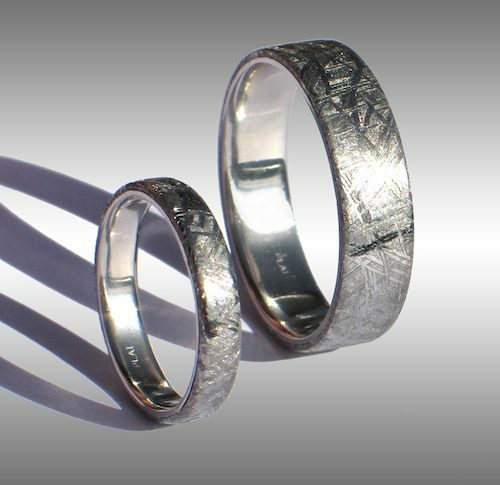 Style #031: Matched pair of beautiful, flat-topped Gibeon Meteorite Rings with Platinum Lining and beautiful Widmanstatten pattern. This elegant set of rings are shown in a size 12.5 and 5.5. For current pricing please enquire!